Counting your macros is an essential part of following a macro diet. If you are new to macros, then start at the beginner’s guide, or check your target macros with our calculator. Tracking macros can be done either by following a pre-prepared meal plan, or by using a spreadsheet or app to track on the fly. Here are some of the best apps we’ve found. MyFitnessPal (MFP) is a hugely popular app, owned by apparel company Under Armor. With a food database of 5 million items, it is the most popular system for tracking food intake. We have a basic tutorial on using MFP here, and an extensive guide comes with our program: The Macro Solution. For macro counters: If you sign up to the premium subscription, you can set your own macro targets (greatly beneficial for a macro diet). MyFitnessPal is free to download. The premium edition has an extensive set of features for a macro diet (such as setting goals by gram or percentage, and allowing different macro targets for sedentary and workout days). Myplate comes from the Livestrong foundation. It is essentially a food tracker (2 million food database), with extra mutual support tools built in. For macro counters: The daily view shows a breakdown of macros (both grams and percentages) – allowing you to monitor your food until you reach the desired target. Myplate is free to download. The gold edition costs a monthly subscription fee, and will give you: an ad-free experience, private support groups, advanced stats, and priority support. 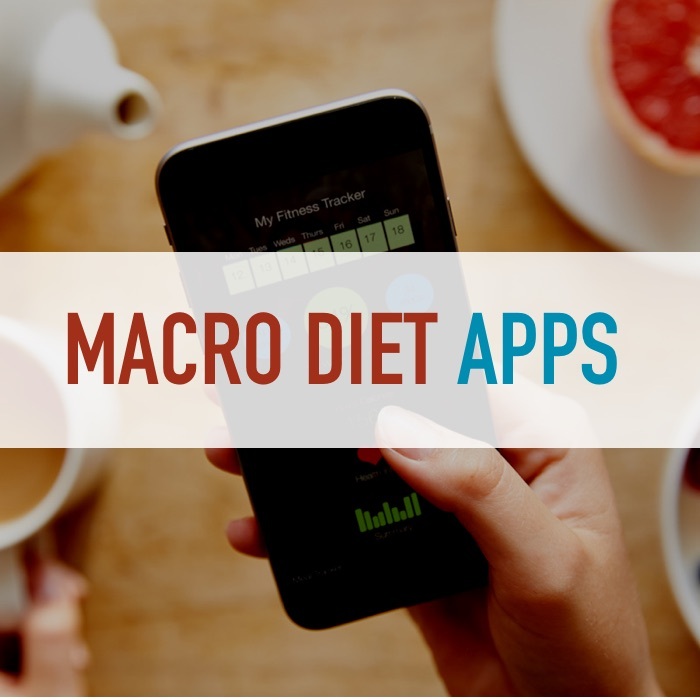 MyMacros is one of the few food tracking apps focused specifically on macro counting. See our tutorial on MyMacros here. 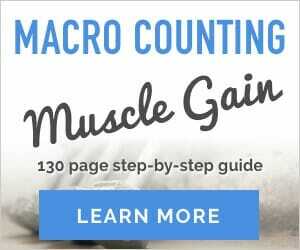 For macro counters: Focused on counting macros, where you can set macros for both exercise and non-exercise days. MyMacros is $2.99 to download. There is also a premium subscription that allows you to access your data from anywhere (desktop, laptop, etc). Lose It! is a calorie tracker (been around for 10 years). One of their latest features is integration with EmbodyDNA (for $190 DNA can be tested and integrated with the tracker for personalized insights). For macro counters: The premium subscription allows you to set specific macro goals. Lose It! is free to download. The premium subscription allows a broader set of things you can track, along with more integration with fitness trackers. 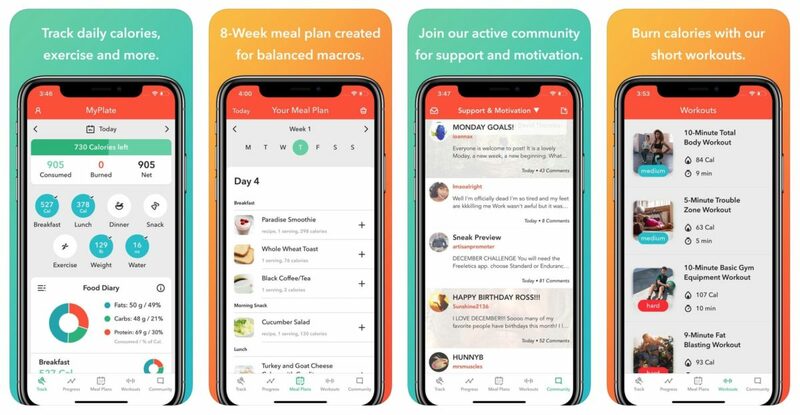 Lifesum is a broader health app offering suggested diet plans, along with recipes and other features. For macro counters: The home screen shows your daily macro counts, and it is possible to set a manual macro target. Lifesum is free to download. As in other apps, the premium subscription is the only way to access more useful features (recipes, macro tracking). MyFitnessPal is popular, but can take time to setup. MyPlate and Lose It! have much nicer designs (but will requires premium subs to unlock macro features). MyMacros allows fine-grained controls (suitable for more of an advanced user). (most are between $40-$45 per year). You have a better chance of using the thing if you pay for a subscription, and in many of the apps only unlock certain features. Lots of the entries are user-submitted can have errors, or make some foods more difficult to find. Example below: A search for Starbucks on myfooddiary (left) and myfitnesspal (right). 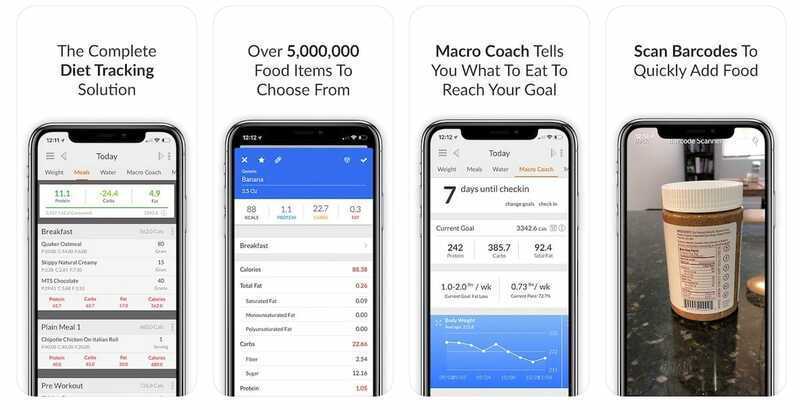 If you’re serious about a macro diet, take a look at our program – The Macro Solution, which comes with extensive how-to guidance on using the best apps.